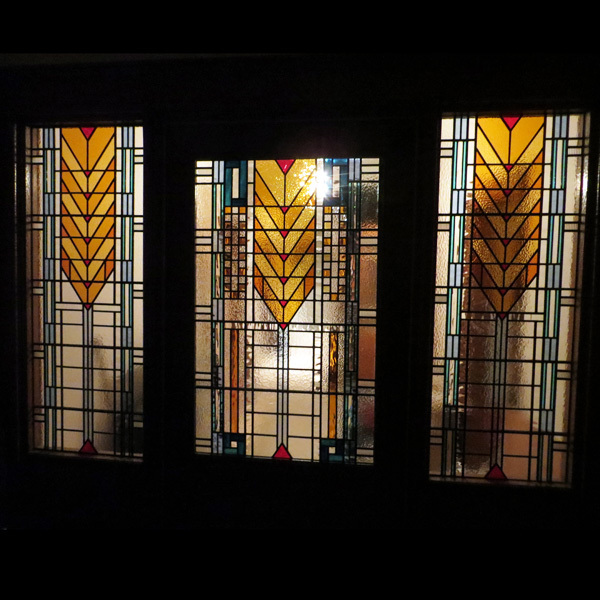 Our client asked us to produce a stained glass rooflight and door panel and surround, inspired by the windows in Darwin D. Martin House designed by Frank Lloyd Wright. 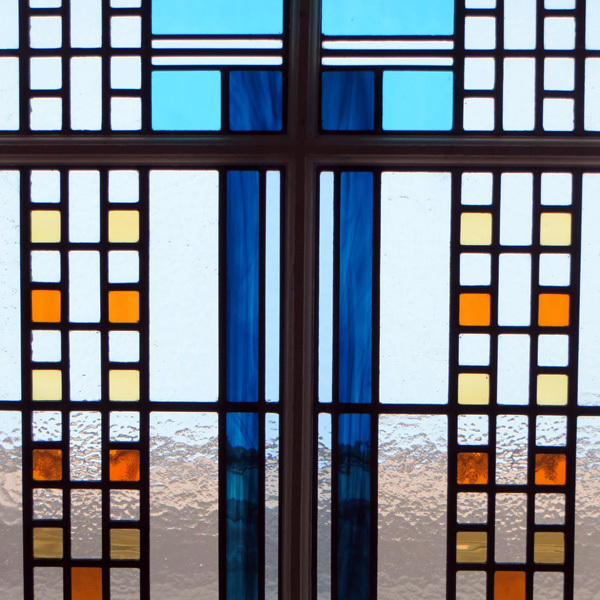 There’s over 15 different colours and types of glass in the windows with 5 different types of clear alone. 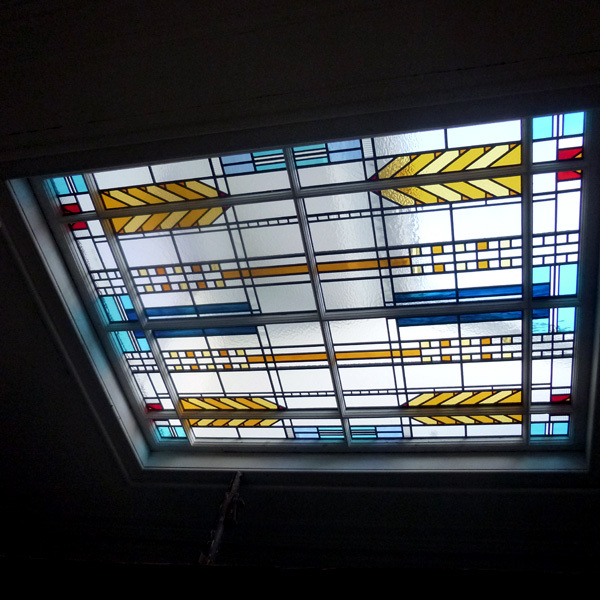 The roof light is made up of 16 individual leaded lights fitted within the original frame in fitting with this period property. 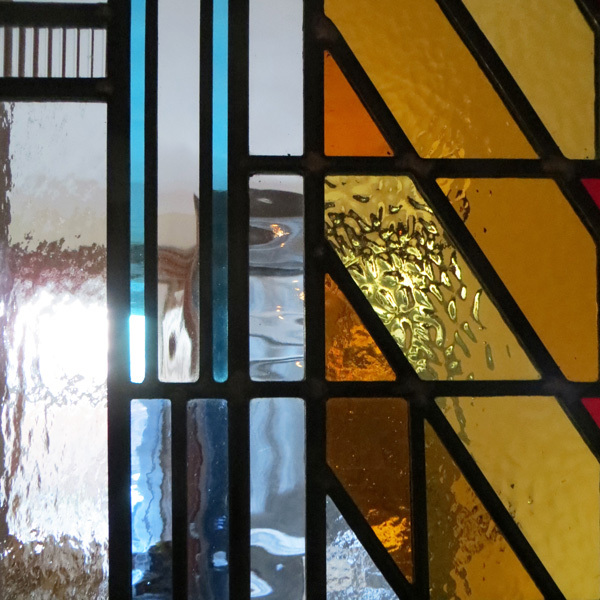 You can see some images of the windows being produced at our previous blog.